← On fighting against a crowd. 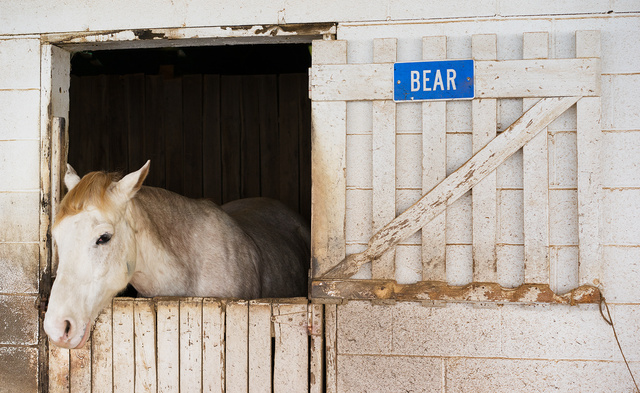 This entry was posted in beast, humor and tagged bear, horse, stables, white. Bookmark the permalink. 4 Responses to Bear cavalry is real! I’ve never seen a horse named Bear before, but my father grew up with a horse on the farm called Cow. Cow had a distinctive black and white pattern reminiscent of a Holstein. From the hair it looks like he’s a Trump fan. Damn it! My first horse was named “urso”, portuguese for “bear”. He was a real sob that Little horse…. Think I’ve been there before, or should I say deja by. Looks like the barn at Ft. Hood.